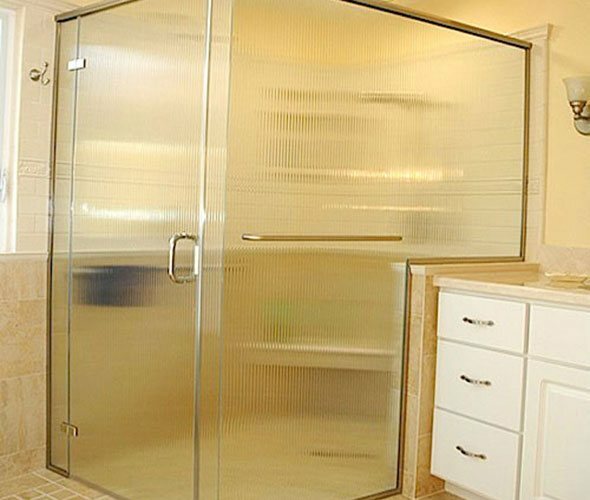 Martin Shower Door Company is the best choice in Southern California for custom shower and tub doors and enclosures. 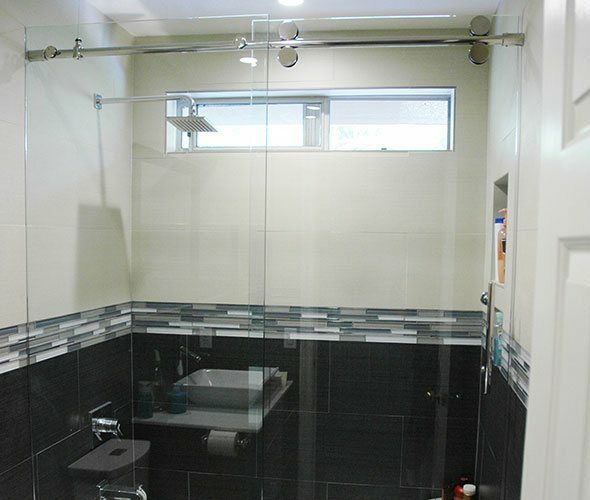 We are one of the oldest glass shower door manufacturers in California and proud to be a third-generation, family-owned and -operated business. 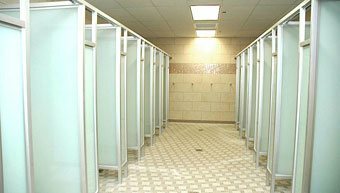 Over the the last 56 years, we've manufactured and installed well over 100,000 shower doors and built a reputation for consistently delivering exceptional results at highly competitive prices. Because of the extensive experience that our staff brings to each and every job, you can expect your job to be done right, the first time, every time. 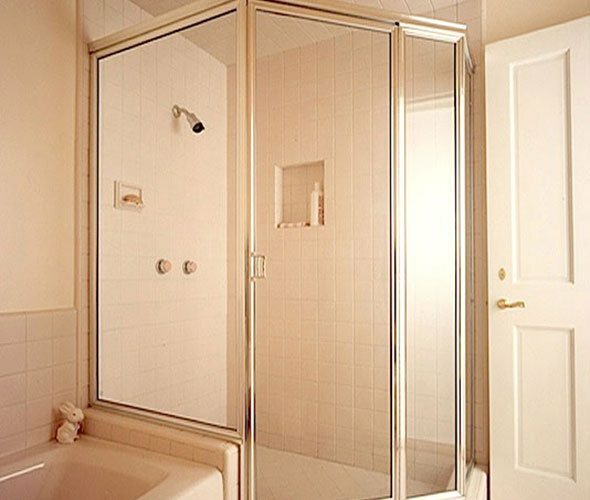 We're so confident in the quality of our workmanship that we back every shower door installation with a 7-year installation warranty that protects you against manufacturer defects and glass breakage. 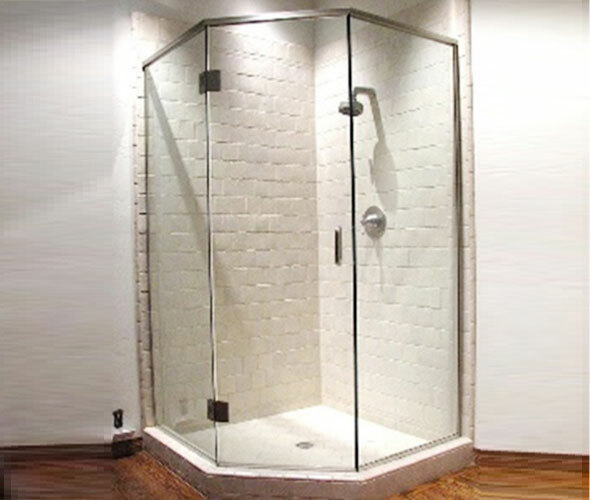 We have over 40 different framed and frameless shower door and enclosure models to choose from, each with a number of glass, trim, and hardware options. 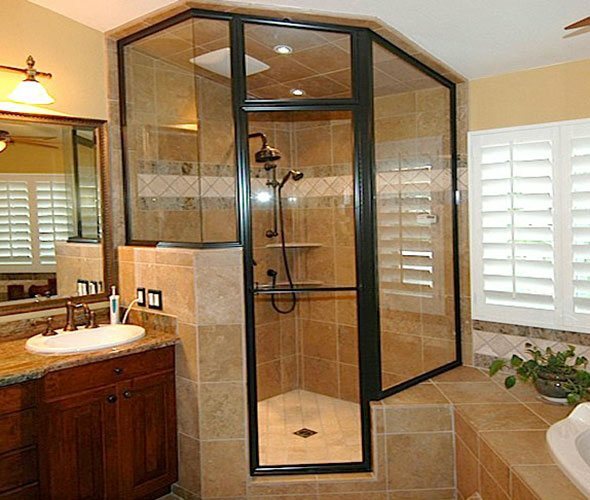 The sky's the limit when it comes to customization, and you can trust that your shower door or enclosure will be built exactly to your specifications. 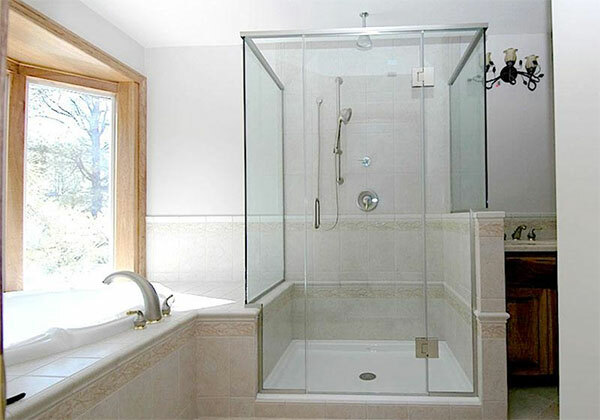 Additionally, we can supply shower doors, panels, hardware, and frames to glass companies and bathroom remodelers. Whether you know exactly what you want or need some guidance, you'll always work with a knowledgeable member of our team who receives ongoing training and has years of experience. Our estimators have more than 10 years of experience each; our installers all have at least 15 years of experience; and our foreman has about 28 years of experience. 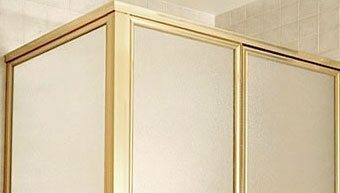 They'll ensure that you get a gorgeous, long-lasting shower/tub door or enclosure that fits perfectly and matches your aesthetic. 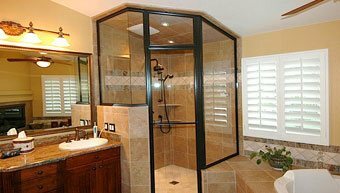 Whether you are looking for a durable sliding shower door at an affordable price or want to completely modernize your tub and shower, we'll be able to develop the perfect solution for your budget. 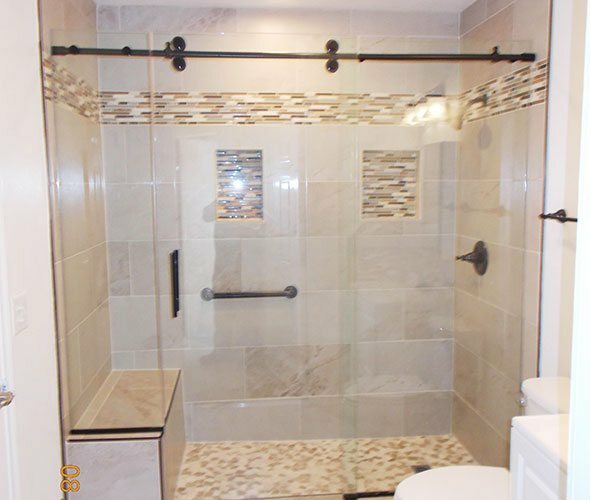 Call Martin Shower Door Company today and work with a company that is experienced and committed to providing unbeatable value. We are fully licensed and insured, and have staff that speak English and Spanish. 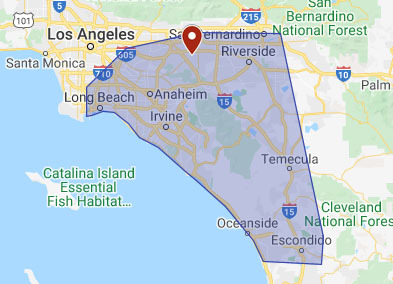 While our shower glass manufacturing facility is based in Chino, California, we're able to serve residential and commercial clients throughout Los Angeles, Riverside, and Orange County. We're open Monday through Friday, and welcome visitors to our showroom from 8am to 12pm and 1pm to 5pm. We provide free over-the-phone estimates or on-site estimates for a small fee that is credited toward your purchase. Additionally, we have more than 20 approved dealers throughout Southern California. When you work with one of our dealers, you'll get the same high-quality shower doors and tub enclosures that we're known for, backed by our same 7-year installation warranty. 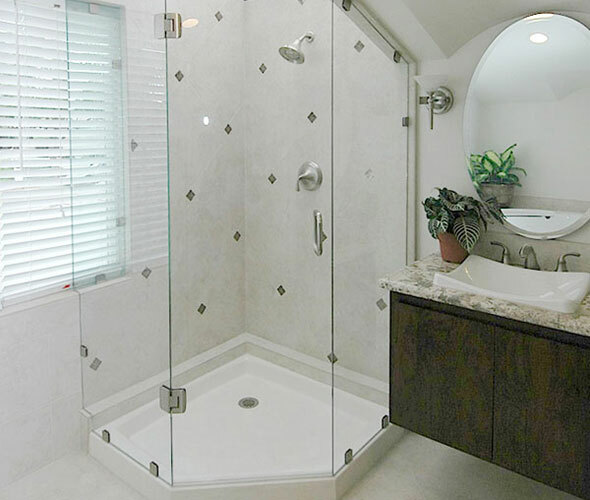 Martin Shower Door built and installed this custom semi-frameless shower enclosure in Laguna Beach, CA. 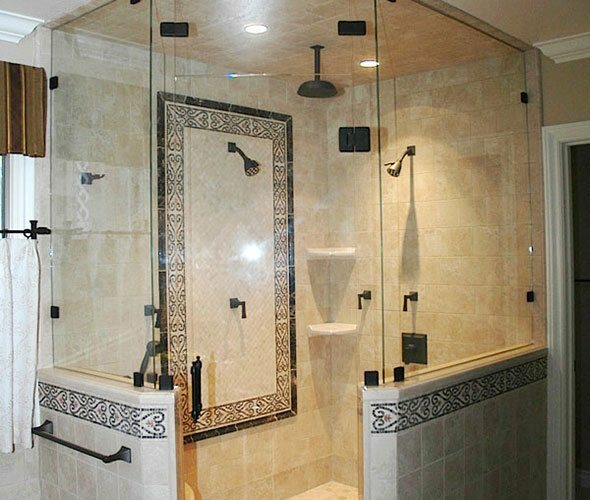 The shower enclosure features ⅜" clear glass and chrome hardware.